You’ve spent weekend-upon-weekend fine-tuning your garden to perfection, only to wake up one morning and find it covered in snails. Not only that, said creatures have munched through your plants and ruined all of your hard work. Unfortunately, this is a problem that is going to blight gardeners around the country for as long as the world spins round. Snails are attracted to plants and as such, you’ll always need a proactive approach if you are serious about eradicating the problem. 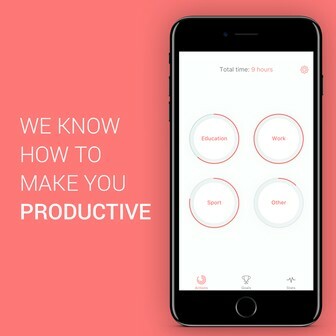 When we talk about this proactive approach, there are actually several methods you can tap into in a bid to ease the issue. Let’s now take a look at all three of them in-detail to help make your garden snail-free for good. The first topic we’re going to talk about is actually the easiest to implement. It doesn’t require natural remedies, nor do you need to use any form of pesticide. All it takes is slight change in your gardening routine. 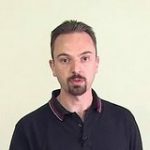 Let’s take a look at some of the methods you can adopt for this. Fortunately, snails aren’t obsessed with every plant out there. In fact, there are a select few that repel them and make them stay a safe distance away from. We’re talking about the likes of mint, fennel, freesias and foxglove – so tapping into these really keep the little creatures away. 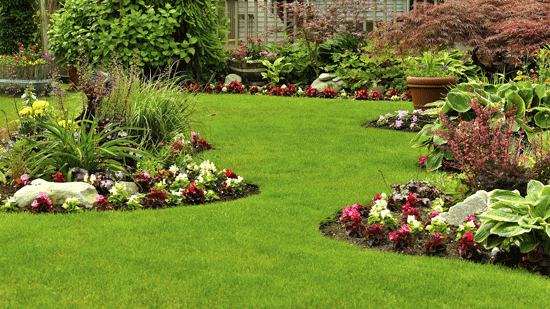 On the subject about being shrewd, you should also think twice about the materials you use for landscaping. Sure, this decision might be usually based around aesthetics, but let’s point out that the likes of wood chip and gravel are never going to be a snail’s best friend. It’s materials like this which are just too big for snails to climb over and as such, can act as a deterrent. You might have devised the optimum watering schedule for your lifestyle over the years, but in the interests of keeping away the snails it might be an idea to change things up. The reason for this is simple; snails prefer soil that’s moist. As such, you need to ensure that the soil is as dry as can be when nighttime arises. The easiest way to do this is to simply water the soil in the morning, so that it has had chance to dry out as the day progresses. The effectiveness of this suggestion should not be ignored; some studies have indicated it can reduce snail presence by as much as 80%. 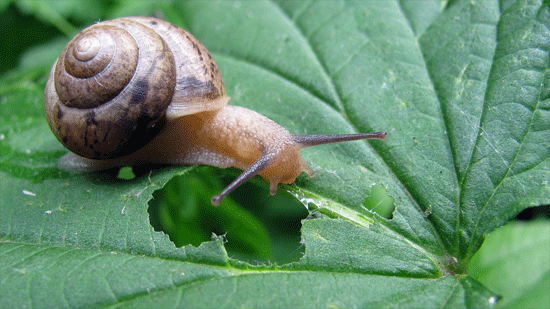 Snails love hiding places – it’s a fact of life. Of course, these hiding places are pretty small and genuinely come in the form of gravel and other debris. It means that your task is simple; you need to remove this sort of debris from around the plants so that your garden becomes more exposed, and much less attractive, from the perspective of a snail. It’s a contentious topic at times, but if you are happy to use pesticides on your garden it might be worth tapping into this section. We’ll move onto natural remedies shortly, but for anyone wishing to use pesticides to dissuade snails it’s worth reading about the following products. Let’s start with arguably the most surprising inclusion on our list. It might sound like something you’d use in the kitchen (and it is, for many of us), but a garlic paste formed from crushed garlic and water is something that a lot of snails detest. 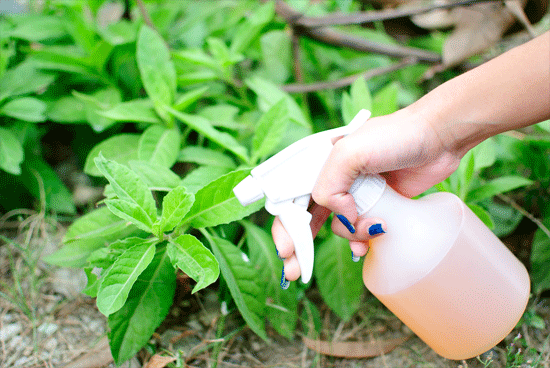 Apply it to your garden with a spray can and you’ve formed the easiest repellent yet. This next suggestion is much more toxic and is regularly used to kill the likes of snails and slugs. As such, it’s very effective, but its toxic-nature means that you should avoid like the plague if your garden is used by pets or children. Something that falls in-between the other two suggestions is Iron phosphate. You may have already stumbled upon this phrase during your research into snails, as it’s the chemical which is used in a lot of the commercial repellants out there. The main positive about Iron phosphate is that it’s completely fine to use around children and pets, which obviously makes it much more open to people. As we’ve already discussed, pesticides aren’t always an option. It’s in these cases where natural remedies will come to the rescue and if you’re opting to go with such an approach, here are some of the solutions you can turn to. As you would expect with natural remedies, some of them border on the weird and wonderful. Coffee most certainly falls into this category, although some advanced studies have been conducted which proves that it can repel snails (and slugs, if you have that problem as well). To use this approach, you can either place the coffee in a spray bottle along with water, or even just sprinkle the ground granules on your garden (specifically, around the plants). On the subject of food-related deterrents, next we have crushed egg shells. 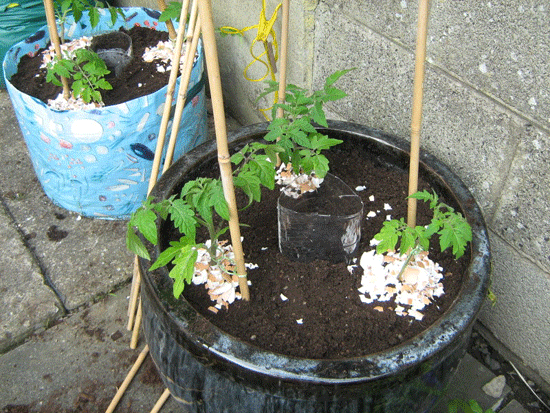 The idea behind this is much simpler; these egg shells have sharp edges which will hurt any snail that trespasses onto them. Another interesting suggestion is to use copper. This causes a reaction with the “snail slime”, prompting an electric shock-like feeling for the snail. The best way to apply this to your garden is to stick it around the outskirts of it. One of the more interesting ways to repel snails is to take advantage of their predators. In other words, you’ll be looking to encourage all of their predators to visit your garden – rather than concentrating all of your efforts on keeping the snails themselves away. Example of these animals include toads and frogs and one of the easiest ways to attract such animals is to invest in a toad house – which tends to attract them providing you are based in a suitable environment.